How will Ryan Tannehill respond after throwing three interceptions in Week 4? A great opportunity will abound for the Dolphins in just over 48 hours, but also a significant challenge. Miami returns home for only the second time of the season where they’ll meet a Baltimore Ravens squad that projects to put forth their best effort after a disappointing 2-2 start to the year. Can the Dolphins put Monday’s embarrassing loss to the Saints in the rear-view mirror quickly enough to improve to 4-1 for the first time since 2003? Quarterback Ryan Tannehill has been sacked more than any other passer this season. That’s been well documented and discussed. But the Dolphins are just beginning to see the repercussions of their inadequate pass protection. The Saints realized they didn’t need to blitz to pressure Tannehill last week, meaning they were able to drop more defenders in coverage. That will be the blueprint to containing Tannehill and Miami’s passing attack in future weeks. And if the Dolphins are unable to contain a four-man rush, this offense is never going to live up to its potential. Defenses will begin to sit on Tannehill’s quick, short passes, which will lead to more turnovers like the three interceptions New Orleans forced in Week 4. Oh yeah, and that $60 million receiver, Mike Wallace, who excels at providing big plays downfield, likely won’t be utilized properly anytime soon if Tannehill doesn’t have enough time to take more deep shots. It’s been a nagging problem for the Dolphins this season and it definitely could get worse before it gets better. That’s because the Baltimore Ravens and perhaps the most dangerous pass rush Miami has faced thus far, come to town this weekend. Terrell Suggs and Elvis Dumervil could terrorize Jonathan Martin and Tyson Clabo all game. The Dolphins must find a way to neutralize the two, whether it’s staying balanced offensively, moving Tannehill out of the pocket or employing more max protection formations. If not, Miami’s offense could struggle throughout and would squander an opportunity to carve up a suspect Ravens secondary that might be without No. 1 cornerback, Lardarius Webb. Four Ryan Tannehill turnovers doomed the Dolphins in New Orleans. Without those giveaways, Miami would have had an opportunity to play with the high-powered Saints. 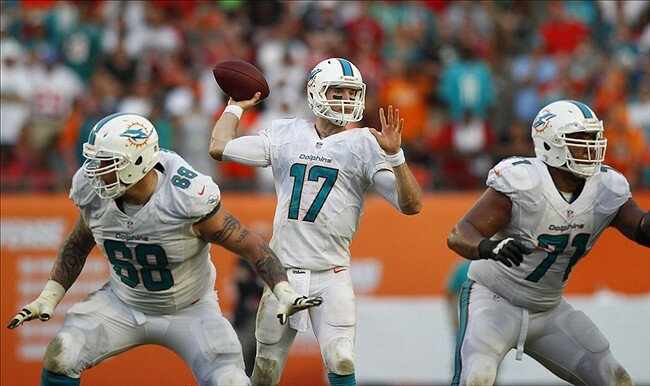 Tannehill and the Dolphins must make protecting the football a higher priority in Week 5 versus the Ravens. Given Baltimore’s potential to get after Tannehill with a lethal pass rush, there’s a chance, either by way of hurried throws or strip sacks, of more Miami giveaways on Sunday. I believe the Dolphins have a better team than the Ravens do at the moment. There might not be a wide margin between the two teams, but the Dolphins were clearly the superior club during the first four weeks. There is no better way to level the playing field, though, than to turn the football over. Ravens wide receiver Torrey Smith has been on a tear this season, averaging nearly 109 receiving yards per contest. Needless to say, he’ll be an extremely difficult cover for the Dolphins’ defense on Sunday. The good news is, Baltimore hasn’t been able to generate much production from the rest of their offense, which has largely been a one-man show. No. 2 receiver, Marlon Brown, leads the team with the three touchdown receptions, but hasn’t practiced all week and likely won’t play on Sunday because of a thigh injury. Jacoby Jones and Brandon Stokley have practiced this week on a limited basis after missing time with injuries, but neither have been highly productive receivers for quarterback Joe Flacco. Meanwhile, Baltimore’s running game has been one of the least effective attacks in the entire NFL and currently averages a mere 2.6 yards per rush. I point all of that out to say, the Dolphins can potentially keep the entire Ravens offense in check by bottling up Torrey Smith. I’ve been an advocate of Miami shadowing Smith with shutdown cornerback Brent Grimes. 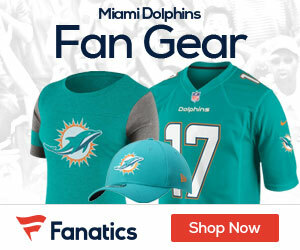 Head coach Joe Philbin has said he is not opposed to the idea of Grimes moving all of the field to cover one receiver, but it’s something the Dolphins have yet to do. If they choose to keep Grimes on the left side of their defensive formation, the improved Nolan Carroll will also wear the responsibility of containing Smith. Perhaps Miami’s biggest key to accomplishing keys No. 1 and 2, will be staying balanced offensively. The Dolphins cannot allow the Ravens’ front seven to pin their ears back and rush Tannehill. Their offensive line, which has been held back by one of the worst starting tackle tandems in the NFL, has proven it wouldn’t be able to hold up. What better way to keep an opposing pass rush honest than to run the football consistently and effectively? The Dolphins have actually fielded a formidable rushing attack in recent weeks, led by running back Lamar Miller’s 5.8 yards-per-carry average since Week 2. Unfortunately, though, they have been forced to abandon the run in their past two games playing catch up. Earlier on in New Orleans, the Dolphins gave the Saints some read-option and pistol looks to help spark their ground game. They should consider more of said schemes versus a solid Ravens front seven, which has only yielding 3.5 yards per rush attempt through four games. And getting Miller more touches is an absolute must. Daniel Thomas — Miller’s backup — has only averaged 2.8 yards per carry and is proving virtually useless in most situations, including on pass blocking and short-yardage downs. More Miller and less Thomas will be key to keeping the Dolphins more balanced offensively, which, in turn, could help combat their pass protection issues. The Dolphins’ offensive line might have had a rough first quarter of the season, but so did the Ravens’ offensive line. Joe Flacco hasn’t been sacked at the same alarming rate Tannehill has, but he’s been brought down 12 times, which is less than only six quarterbacks. Also, Baltimore’s running game ranks 28th in the NFL. The Dolphins’ front four is the strength of their defense, and will likely get defensive end Cameron Wake back on Sunday. Baltimore traded for left tackle Eugene Monroe this week, but the former Jaguars lineman has only graded out as the league’s 55th ranked tackle this season, according to Pro Football Focus. Besides, there is no telling how quickly he’ll be able to get acclimated to his new team. The Dolphins should dominate the Ravens’ offensive line in the trenches in Week 5, stuffing the run and pressuring Flacco for much of the afternoon. Doing so will be the key ingredient to a huge, bounce-back performance for a unit that was torched by Drew Brees and the Saints in Week 4. Feeling confident this week. If all the Ravens got is Torrey Smith on O Brent Grimes finna turn off the faucet! Tannehill bounces back with 3 TDs and no picks! Feeling confident to man. I just dont see us ever playing as bad as we did last week and we’ll be hungry to show up and dominate the supposed SB champs! Manning threw 7 Tds agianst that D so I’m thinking Tannehill can at least get 3 as well!